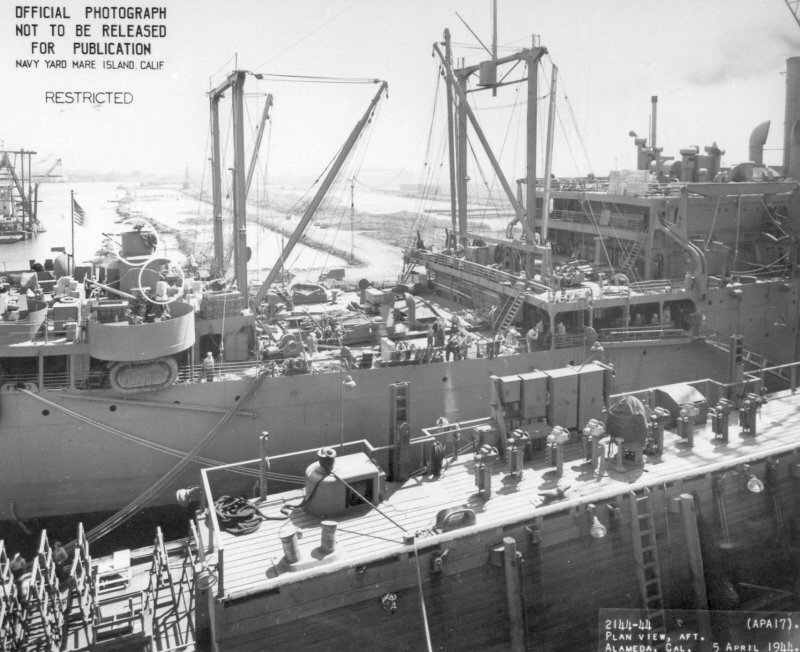 Returned to the U.S. Maritime Commission Reserve Fleet, 13 March 1939, for lay up at Patuxent River, MD. 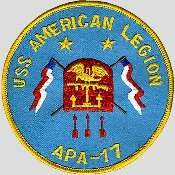 Assigned to the A.T.S. Atlantic Fleet. 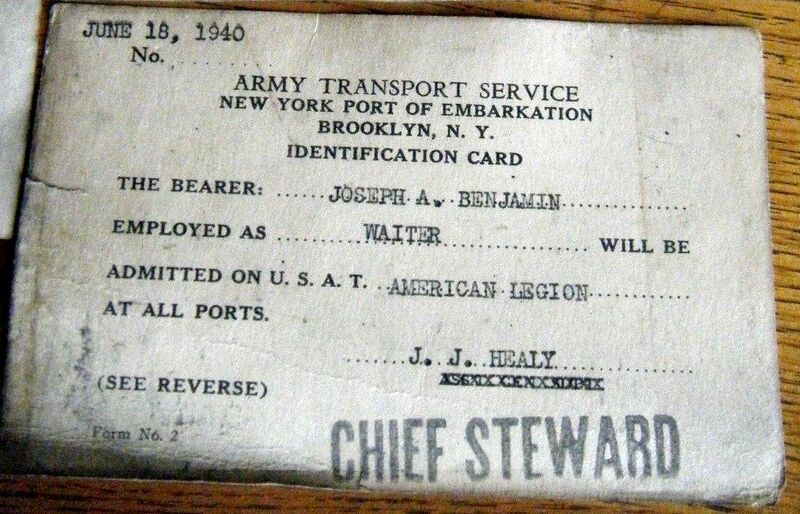 homeported at the New York Port of Embarkation (POE), Army Supply Base, Brooklyn, N.Y. 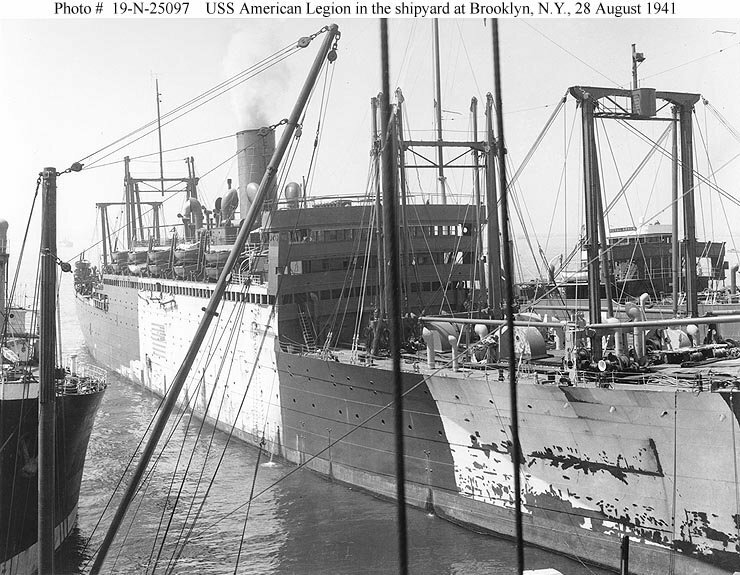 Converted to a Naval Transport, at Atlantic Basin Iron Works, Brooklyn, N.Y. 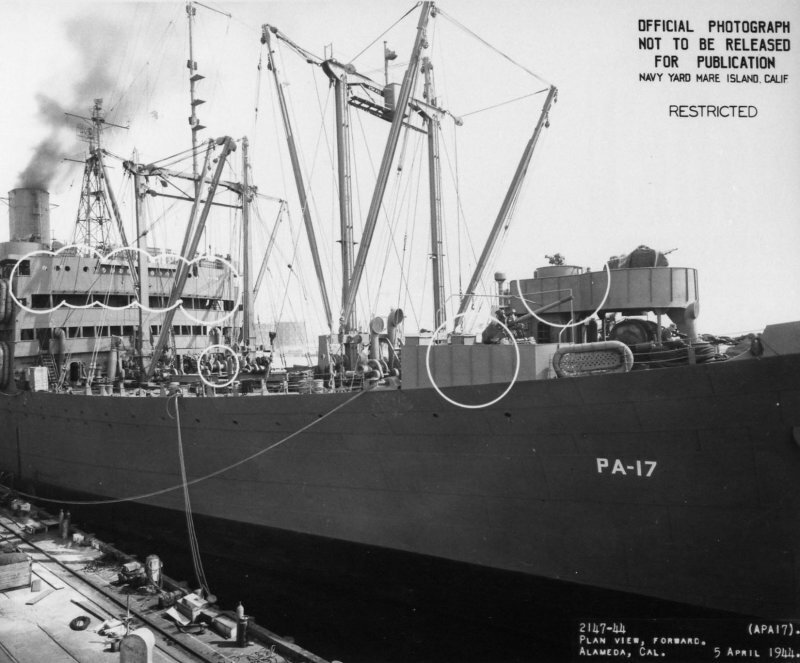 Final Disposition, sold for scrapping, 5 February 1948, to Zidell Ship Dismantling Co., of Portland, OR. three turbo-drive 200Kw 120V D.C.
two Diesel-drive 80Kw 120V D.C.
130k USS American Legion (AP-35), undergoing conversion to a Navy transport, at the Atlantic Basin Iron Works, Brooklyn, New York, on 28 August 1941. She appears to be undergoing repainting from her white US Army Transport color scheme to dark gray Navy camouflage paint. 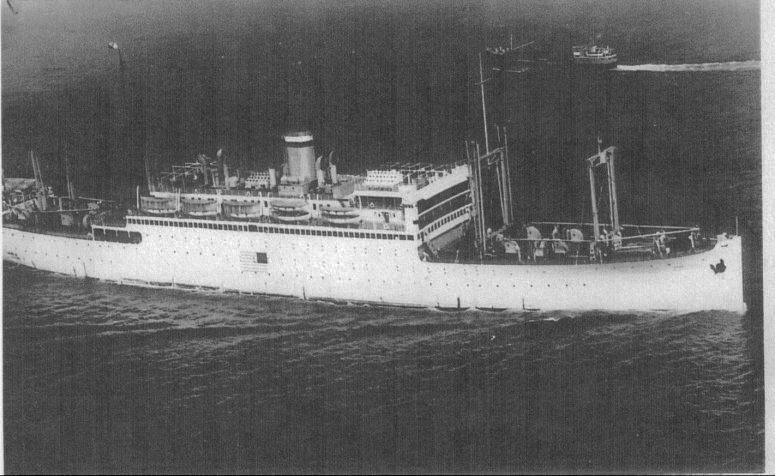 Note the weathered neutrality flag painted on her hull side amidships. 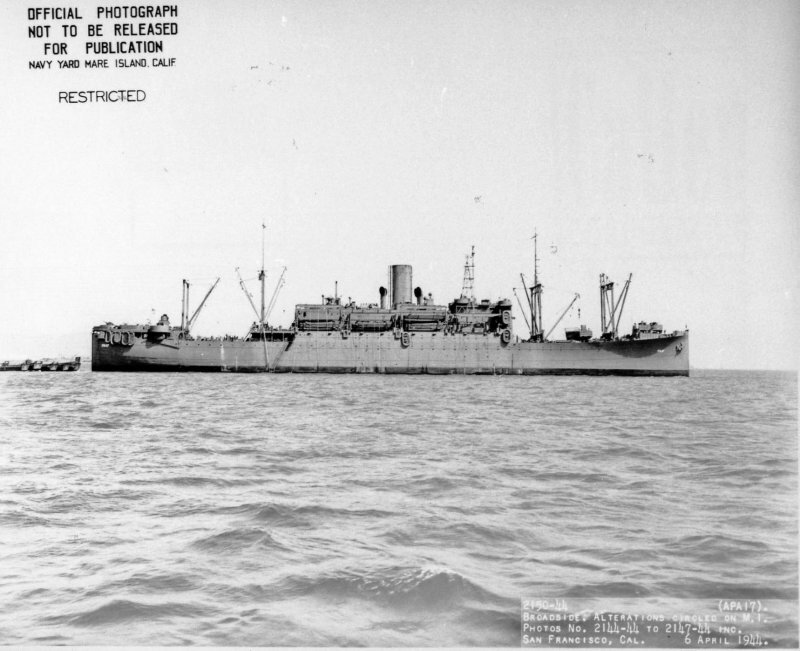 The tanker Royal Arrow is visible in the right background. 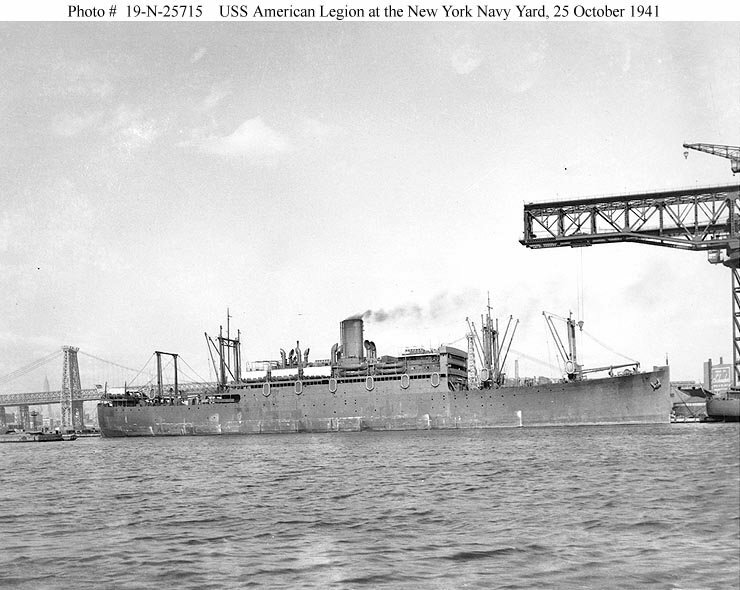 94k USS American Legion (AP-35) at New York Navy Yard, Brooklyn, New York, 25 October 1941. Note her weathered dark gray camouflage paint, with white canvas lifeboat covers. 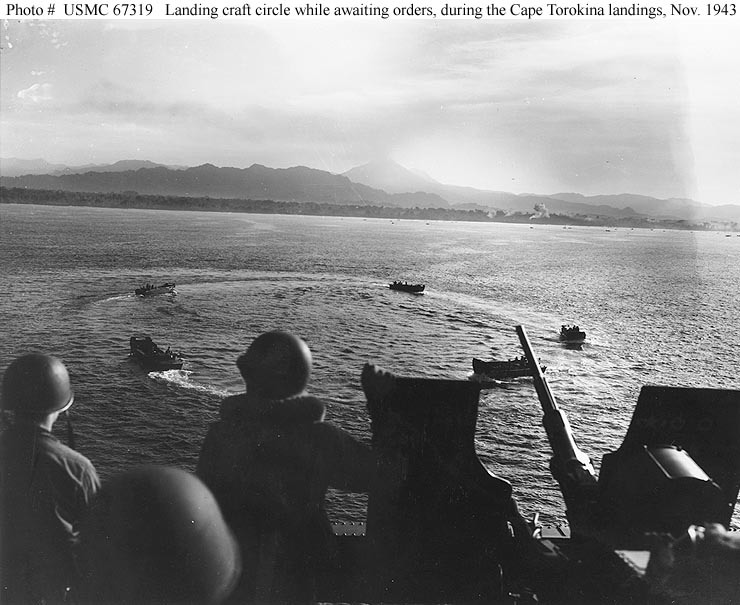 86k LCVP landing craft circle while awaiting landing orders, during the invasion of Cape Torokina, Bougainville, 1 November 1943. 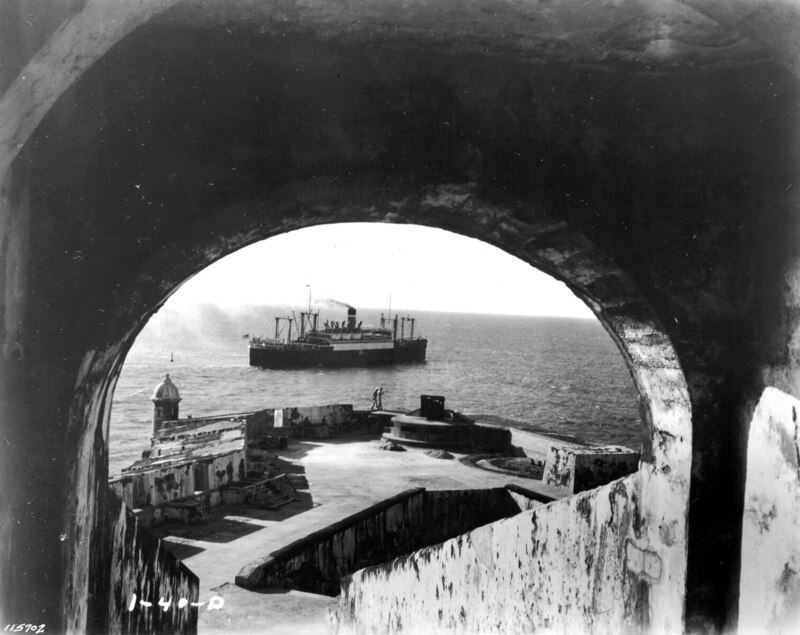 Photo was taken from one of USS American Legion (AP-35)s 20mm gun mounts. The invasion beaches are in the background, being shelled, and there are planes over the beaches. The smoking volcano in the far center distance is Mount Bagana. 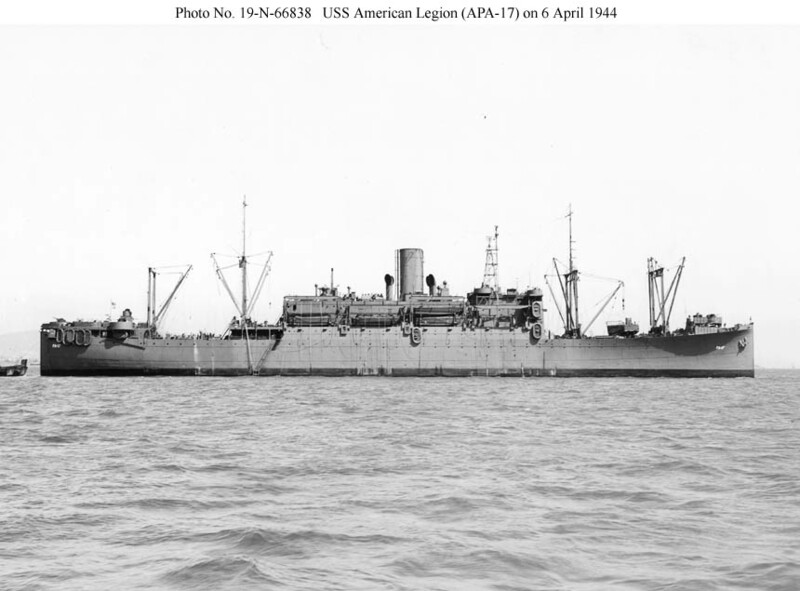 Navy Yard Mare Island photo # 2150 88k Broadside view of USS American Legion (APA-17) in San Francisco Bay, 6 April 1944, after receiving alterations at Mare Island Navy Yard. The ship's main gun armament is now 4-3"/50 following the removal of her 5"/51 gun aft. 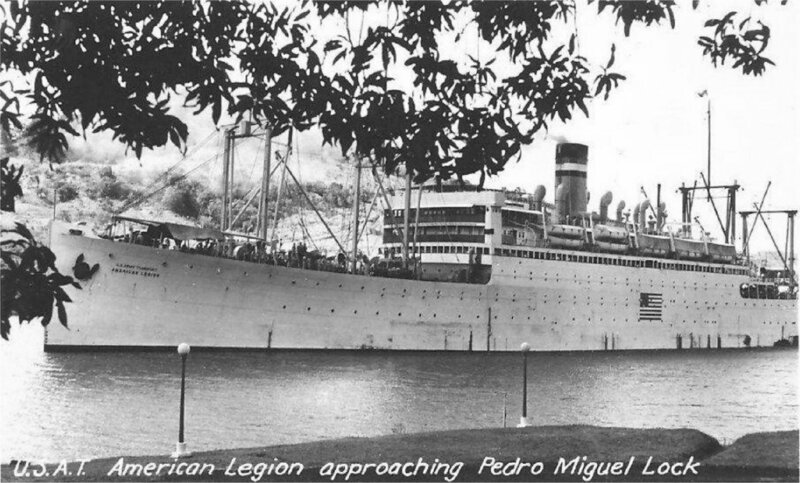 Note also the radar mast over the bridge. 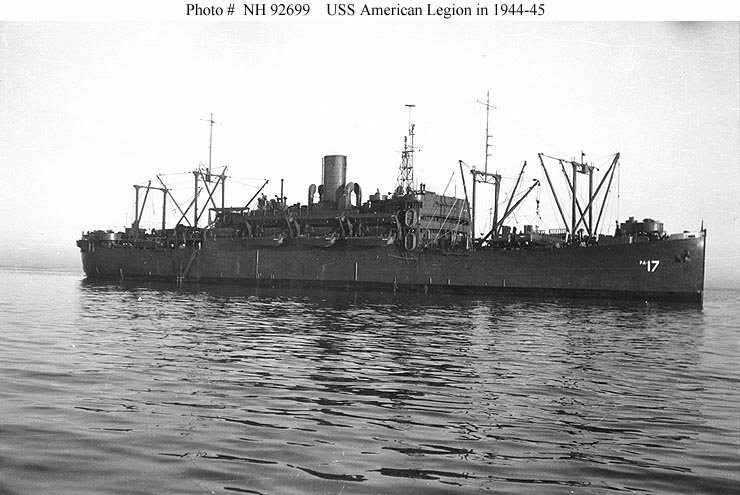 81k USS American Legion (APA-17) underway, circa 1944-45, location unknown. 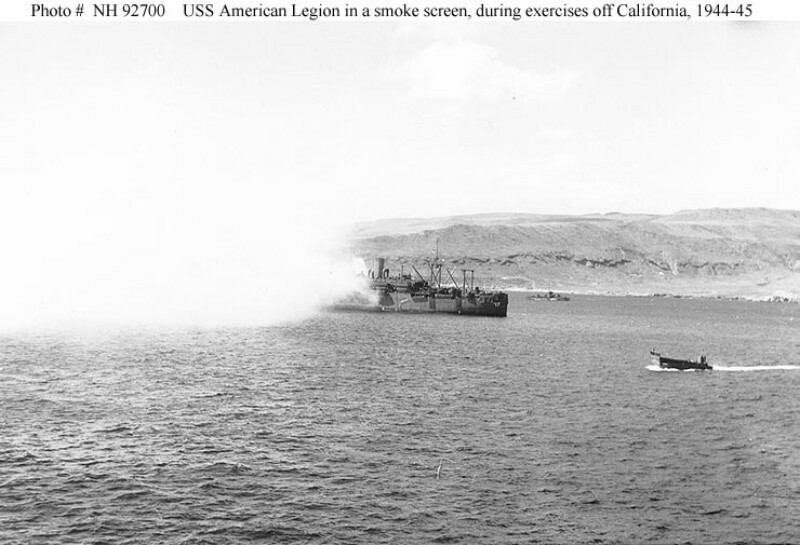 92k USS American Legion (APA-17) partially enveloped in a smoke screen, during amphibious training exercises off the Southern California coast, circa 1944-45. 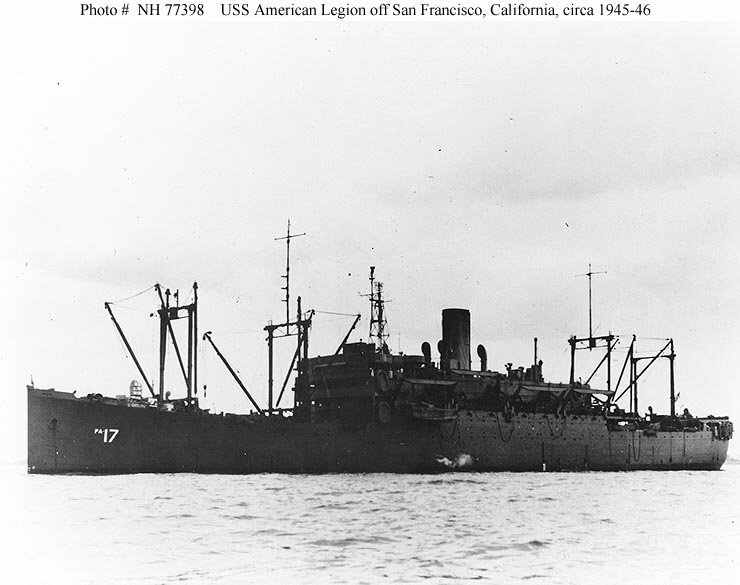 58k USS American Legion (APA-17), off San Francisco, CA., in 1945-46, probably after the end of World War II. Note that her forward guns have been removed.